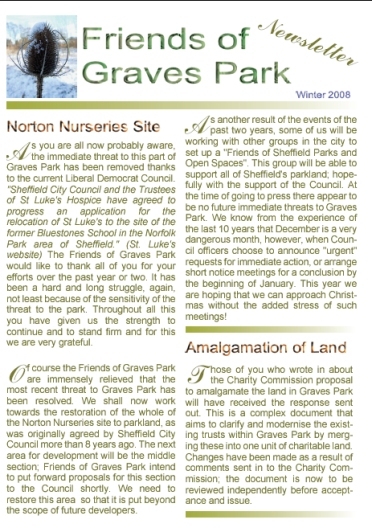 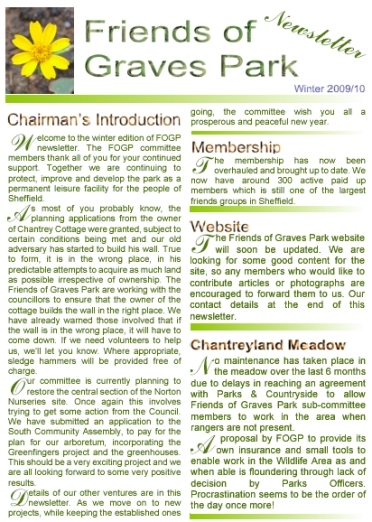 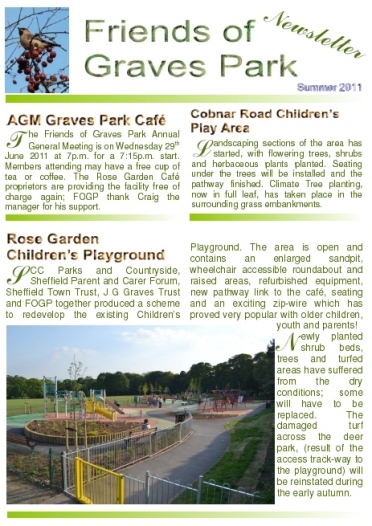 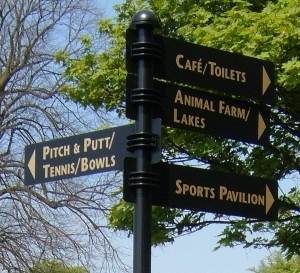 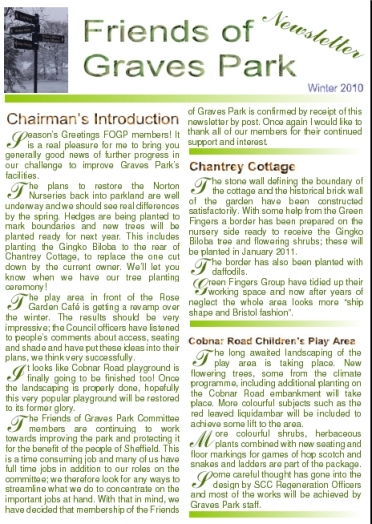 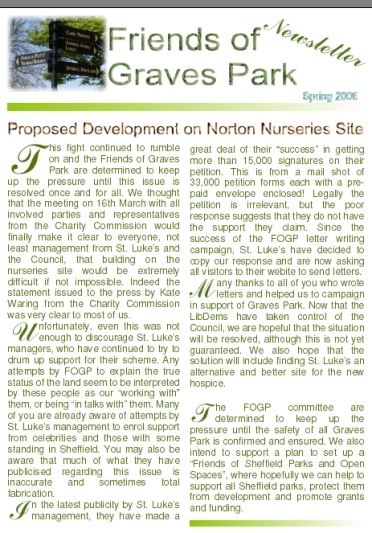 Membership (£3) of the Friends of Graves Park provides you with two printed newsletters annually as well as showing your support and helping with our charitable activities. 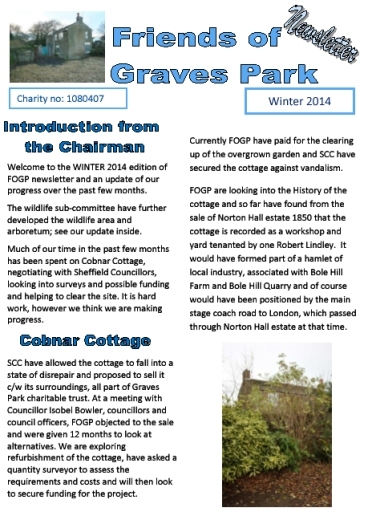 All of the committee work voluntarily and all membership fees and donations go towards covering the costs of the group such as printing and posting the newsletter. 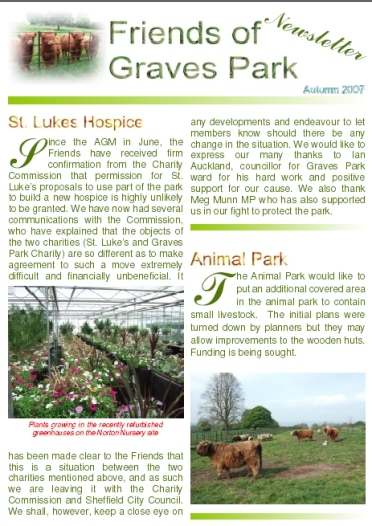 Any surplus goes toward supporting the park. 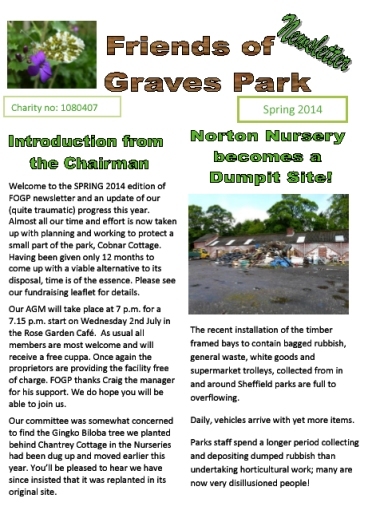 Just click on the newsletter image to get the newsletter in PDF format. 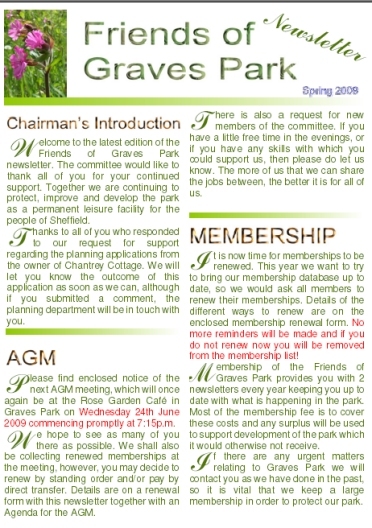 If you don't have a programme to open PDFs then you probably won't be reading this in the first place and tough.